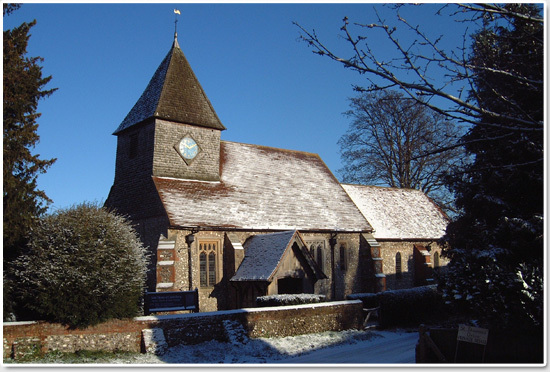 The 1000 year old church of St Thomas of Canterbury is the focal landmark of the village. A Grade 1 listed building, it is situated in one of the best preserved villages in Surrey and within the local conservation area. All ancient buildings need regular, careful and sympathetic attention to ensure their preservation. The Friends of St. Thomas of Canterbury (F.R.O.S.T.) help preserve the building for both villagers and visitors alike. You are invited to become a Friend of St Thomas. This will, where practicable, offer ticket preference to fundraising events and a regular Friends newsletter giving details of fundraising activities, major works to the building and information about possible future projects. Friends are not necessarily regular worshippers. The charity is independent both of the Church of England and the local parish administration.